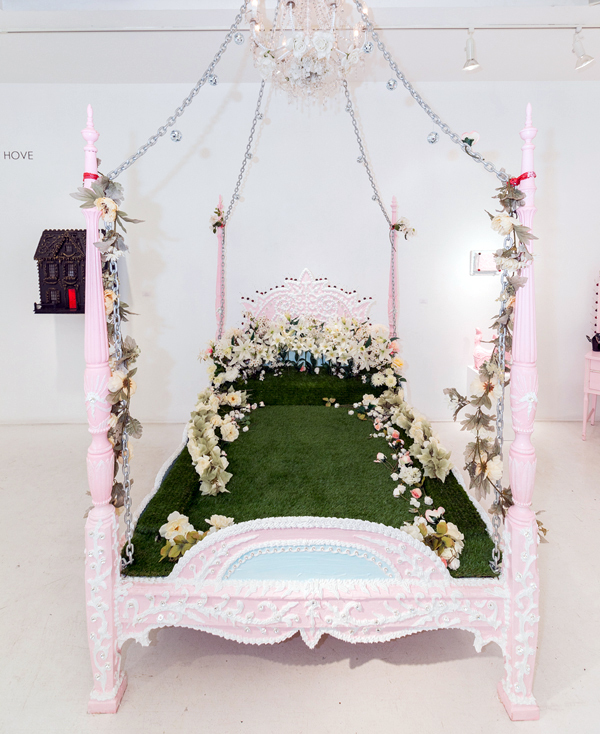 SCOTT HOVE, Last Ticket for the Beauty Train, Beauty Nap, King Day Bed with mixed acrylic media, Swarovski crystals and flowers (93L x 70w x 88"h, full view of bed). 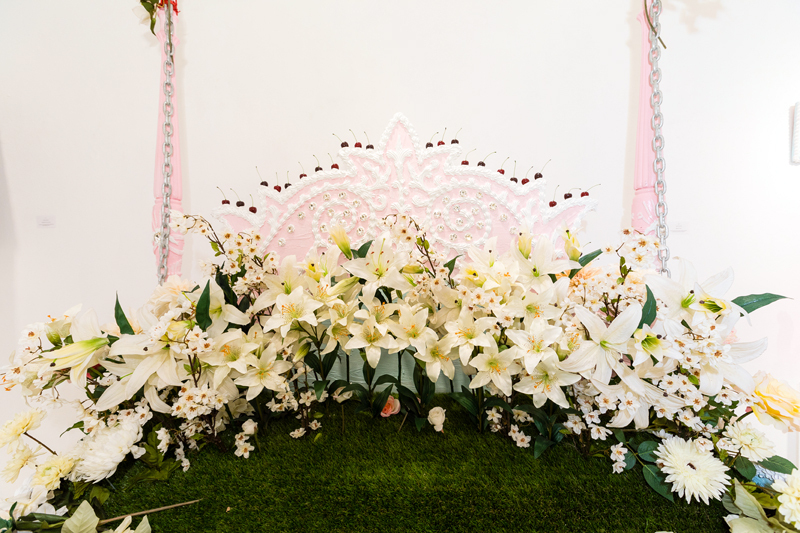 SCOTT HOVE, Last Ticket for the Beauty Train, Beauty Nap, King Day Bed with mixed acrylic media, Swarovski crystals and flowers (93L x 70w x 88"h, detail view of head board). 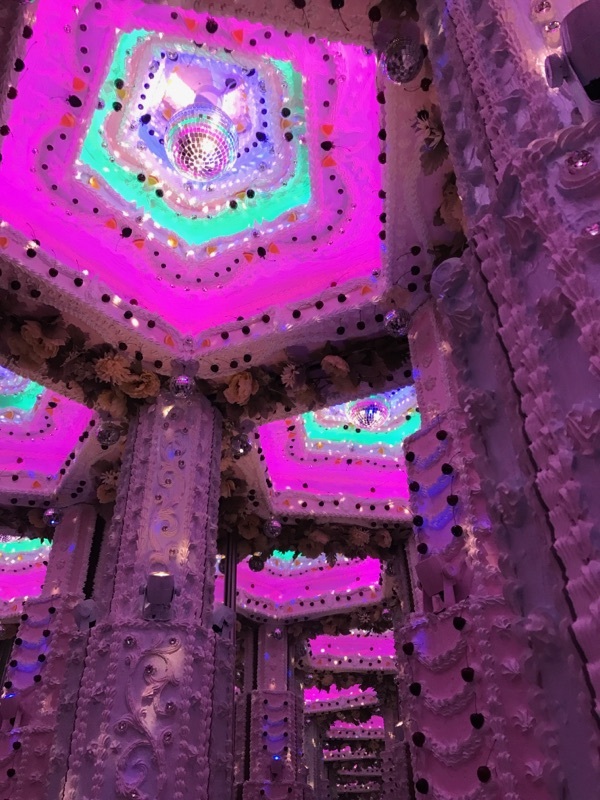 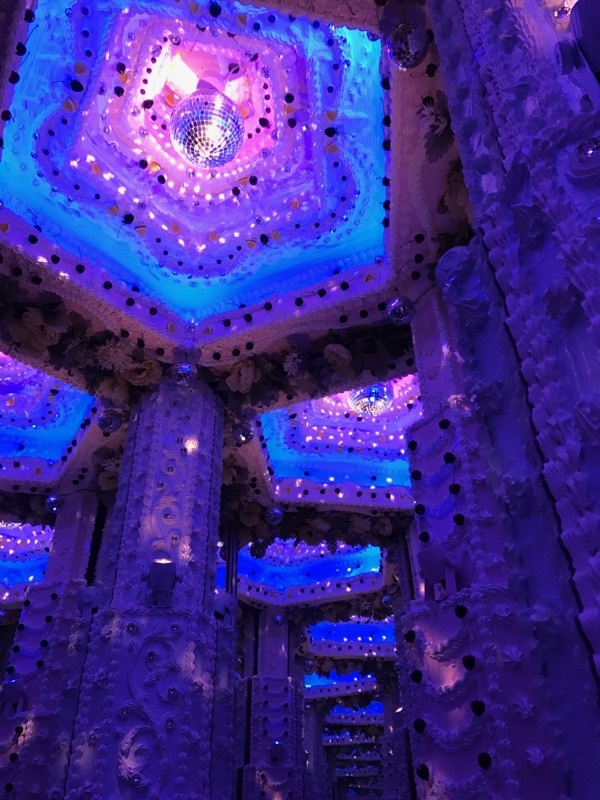 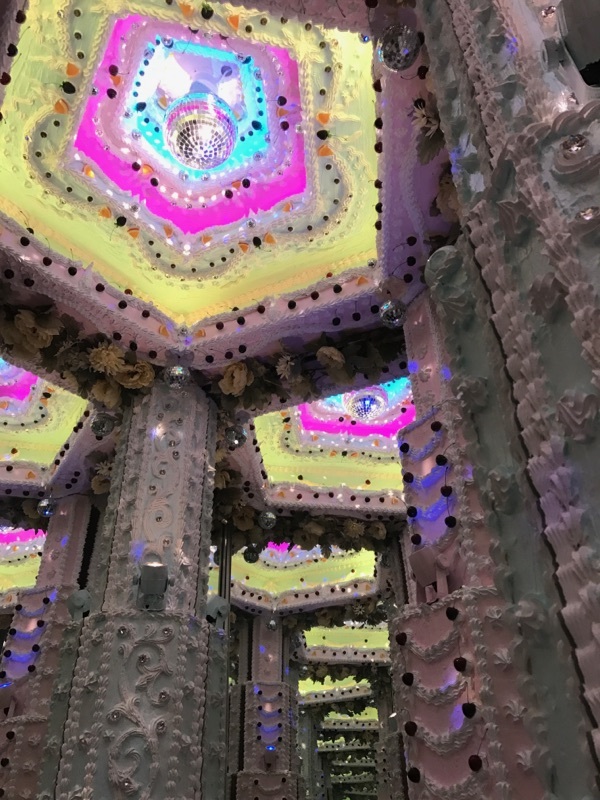 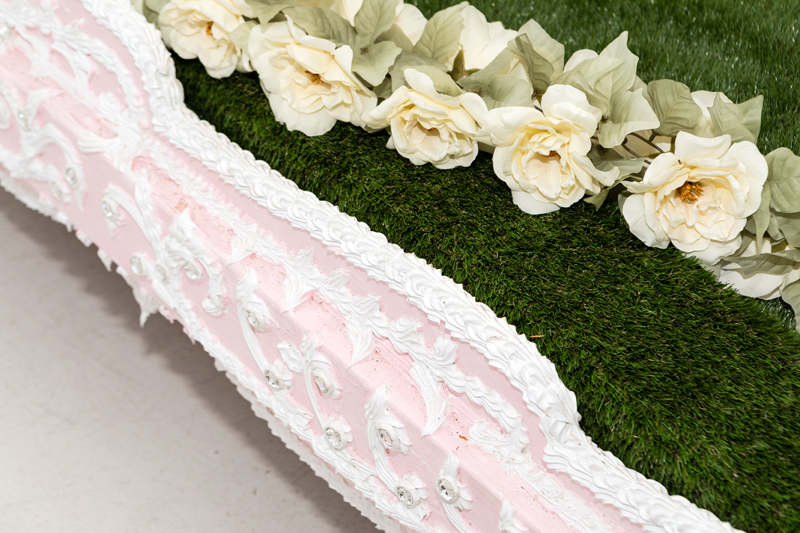 SCOTT HOVE, Last Ticket for the Beauty Train, Beauty Nap, King Day Bed with mixed acrylic media, Swarovski crystals and flowers (93L x 70w x 88"h, detail view of side board). 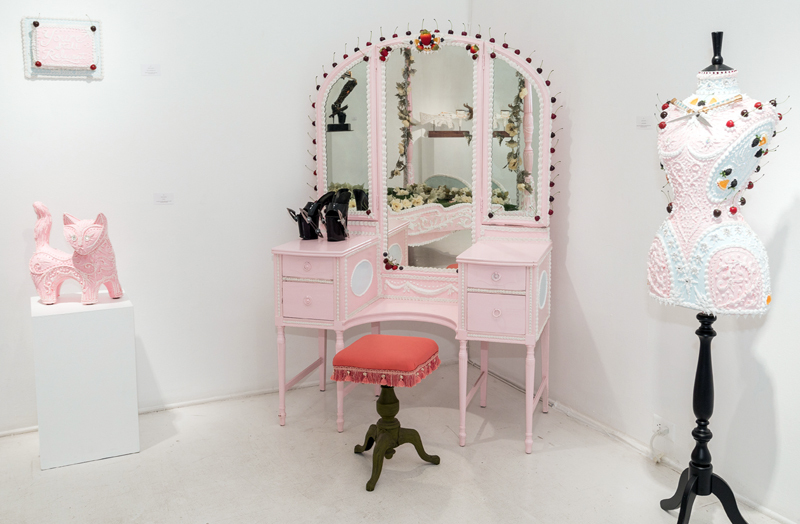 SCOTT HOVE, Last Ticket for the Beauty Train, Vanity Dresser, Antique Vanity Dresser with mixed acrylic media, and cast plastic fruit. 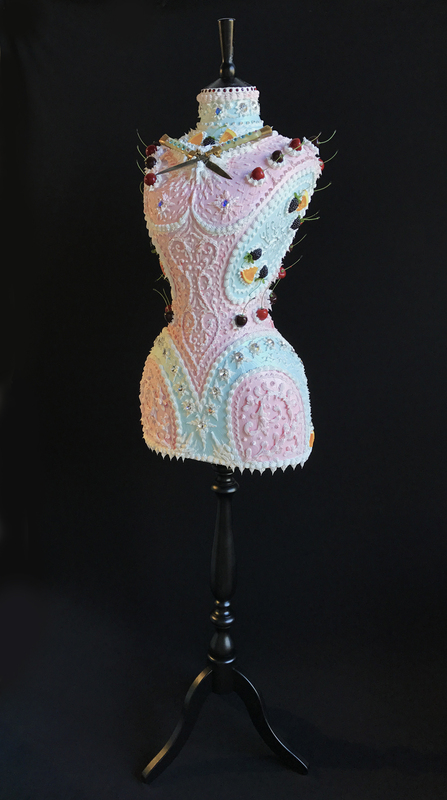 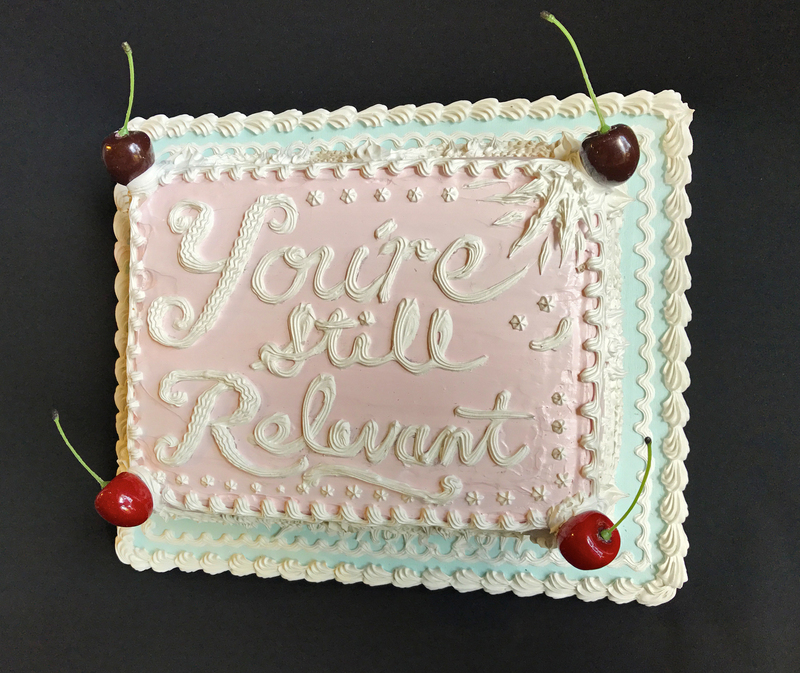 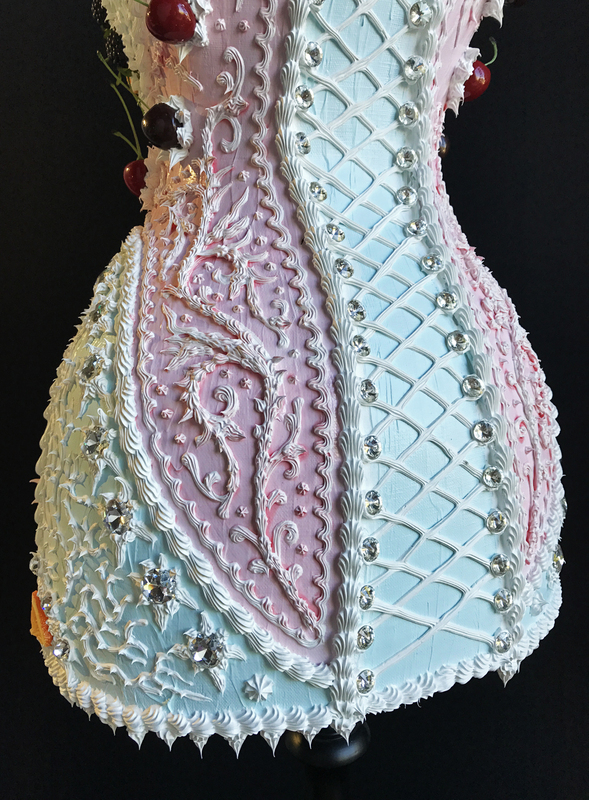 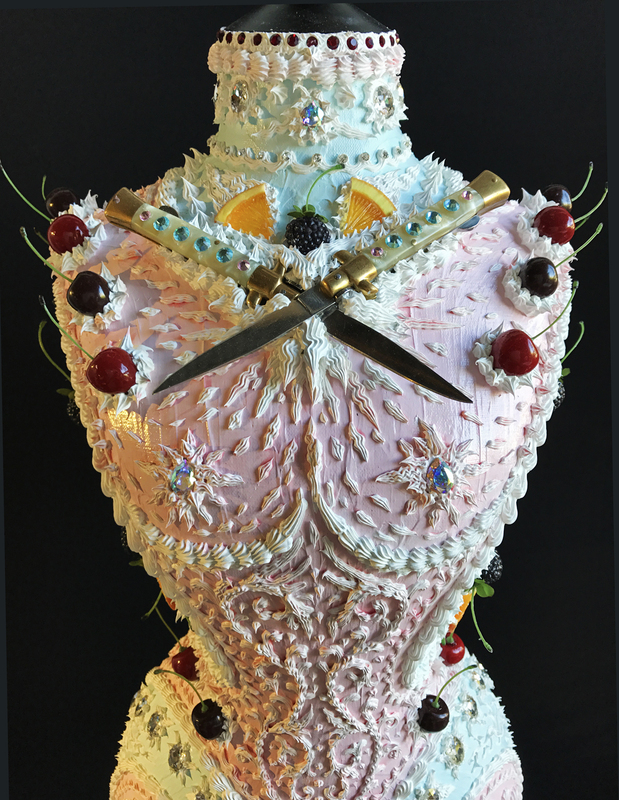 SCOTT HOVE, Last Ticket for the Beauty Train, You're Still Relevant, mixed acrylic media cake (cast plastic fruit). 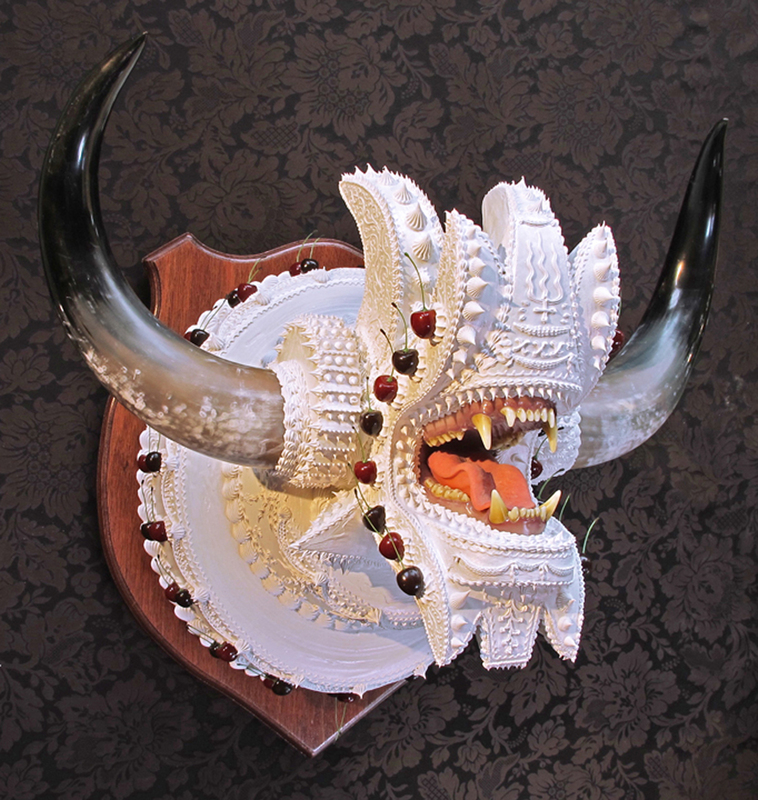 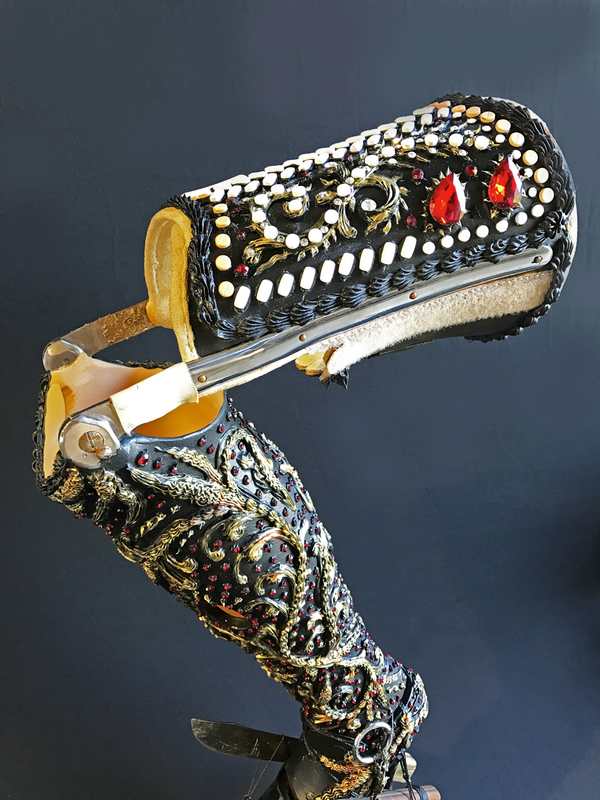 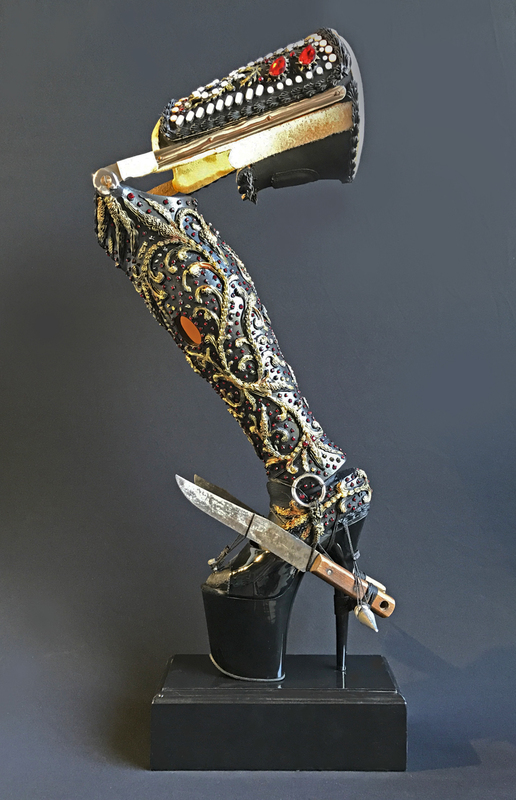 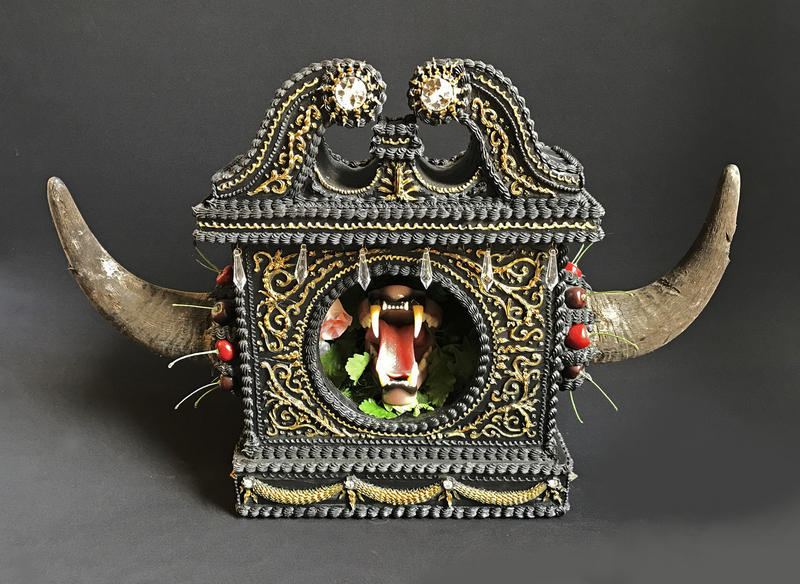 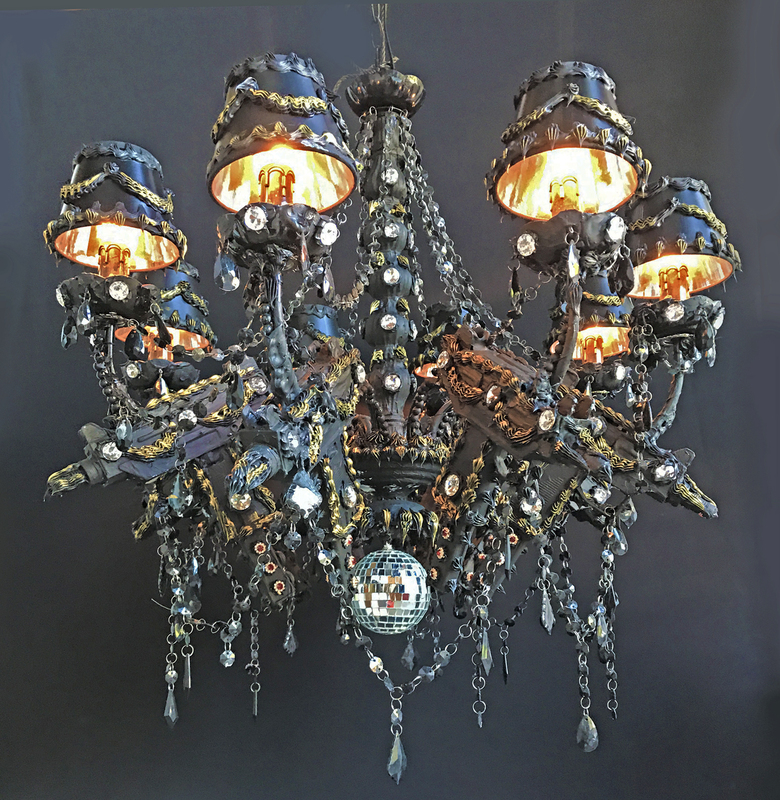 SCOTT HOVE, Last Ticket for the Beauty Train, Splitpediment, mixed acrylic media mantle piece (American Bison horns, cast resin jaw, chandelier crystals). 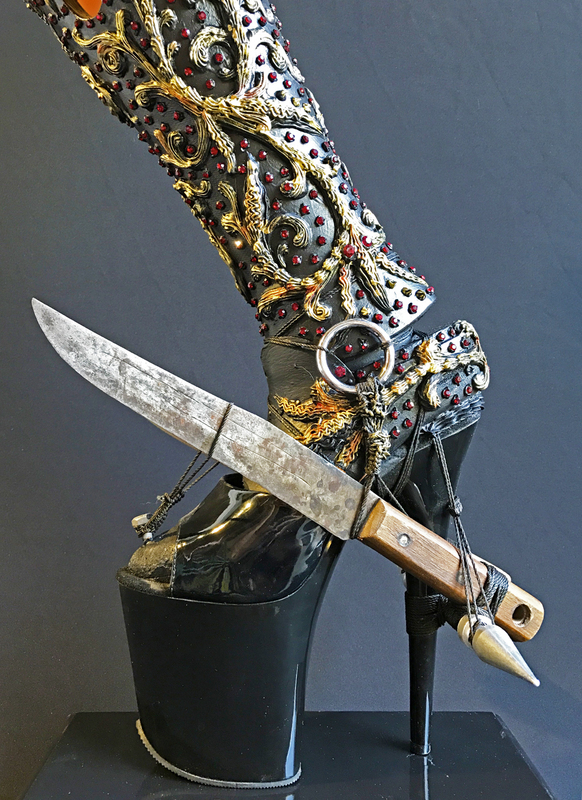 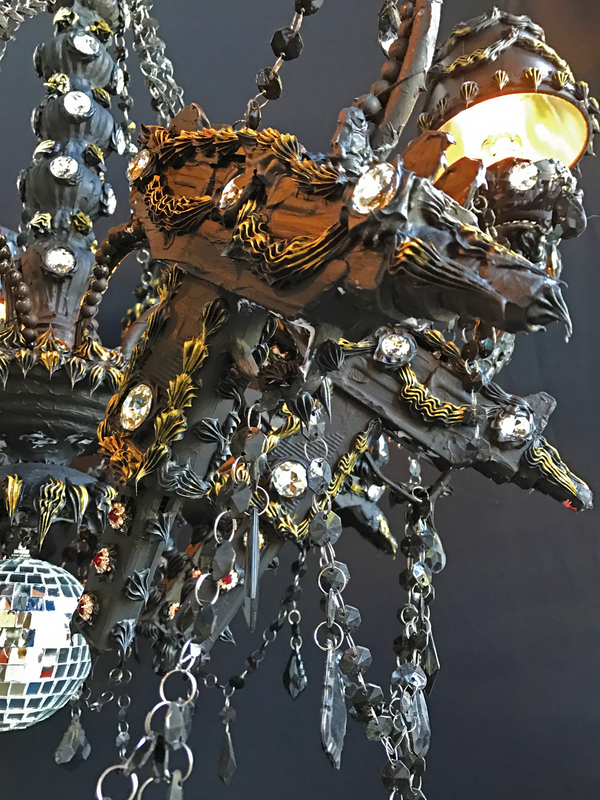 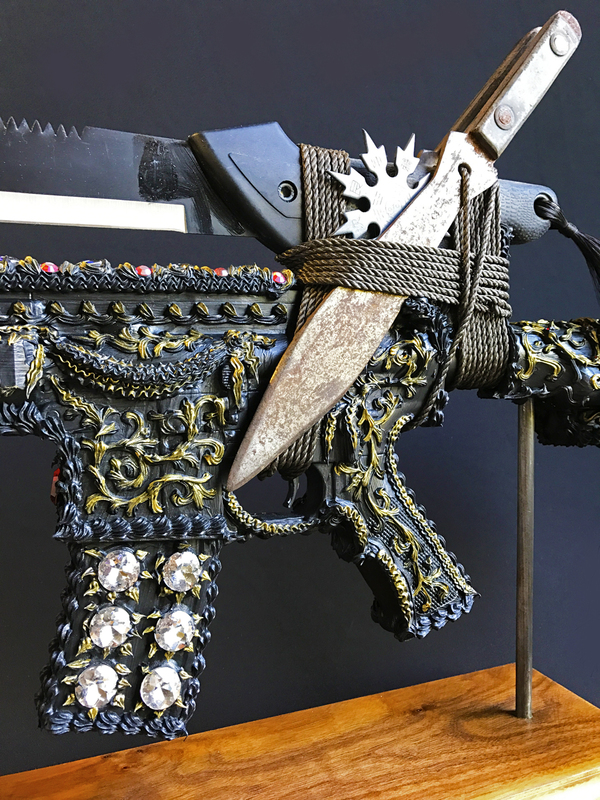 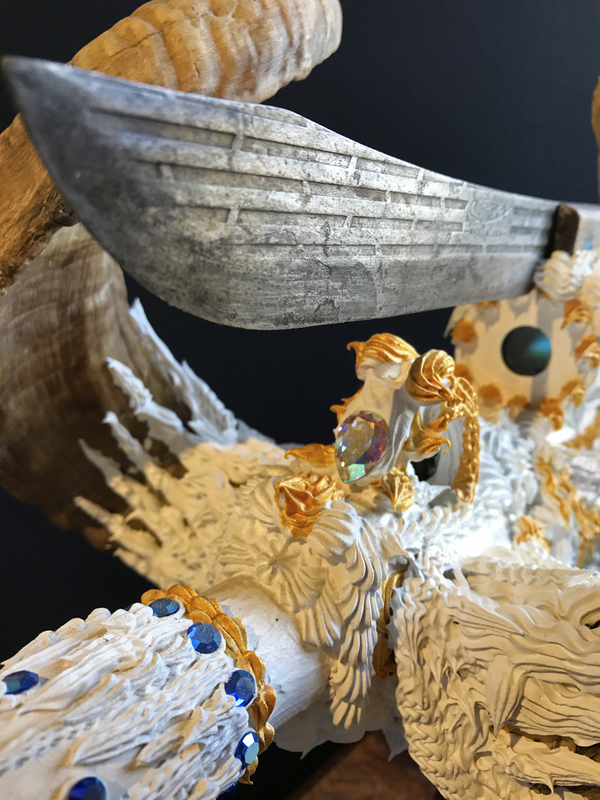 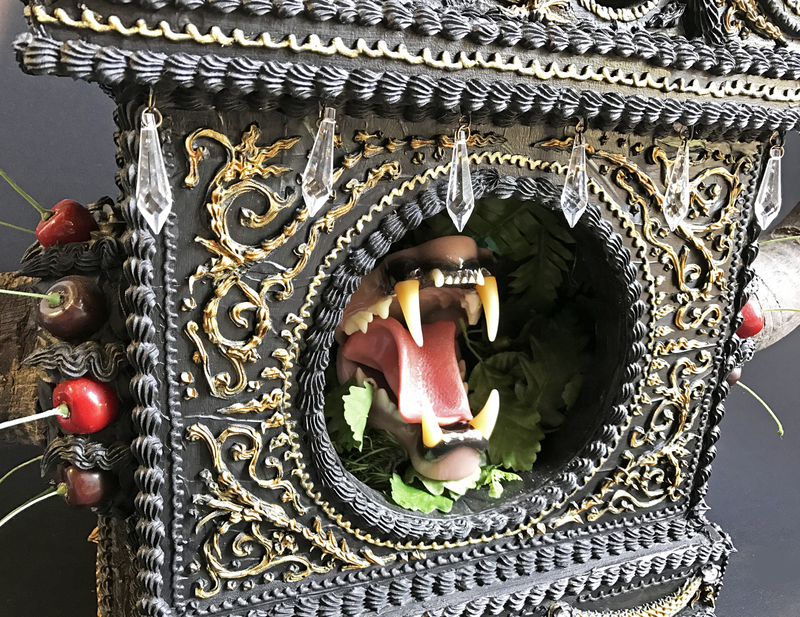 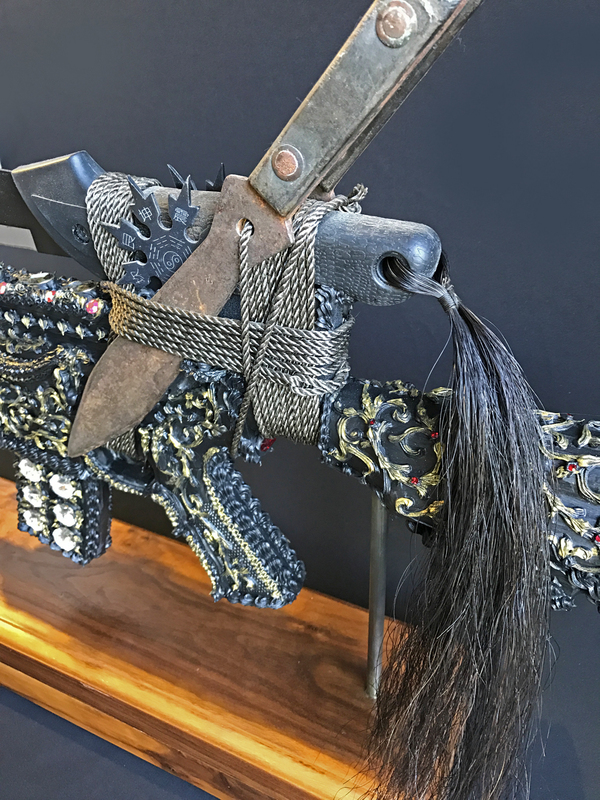 SCOTT HOVE, Last Ticket for the Beauty Train, Splitpediment, mixed acrylic media mantle piece (American Bison horns, cast resin jaw, chandelier crystals - detail). 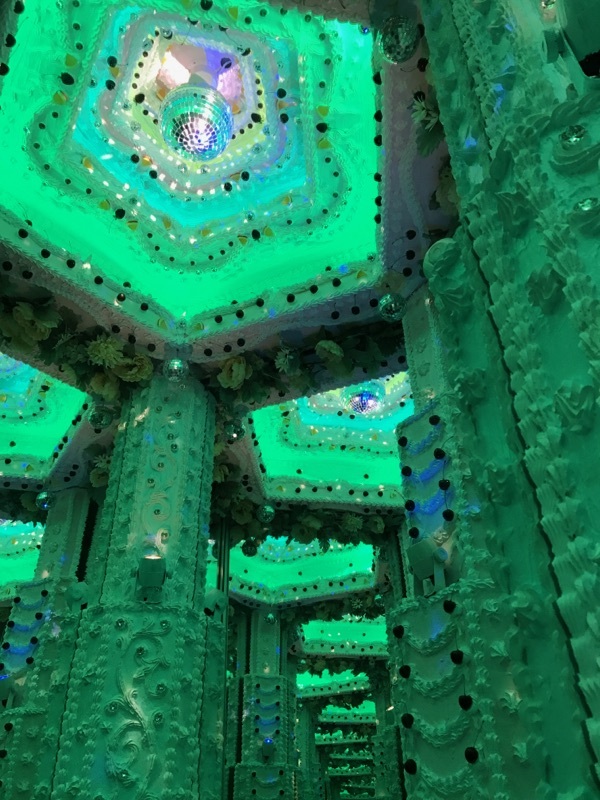 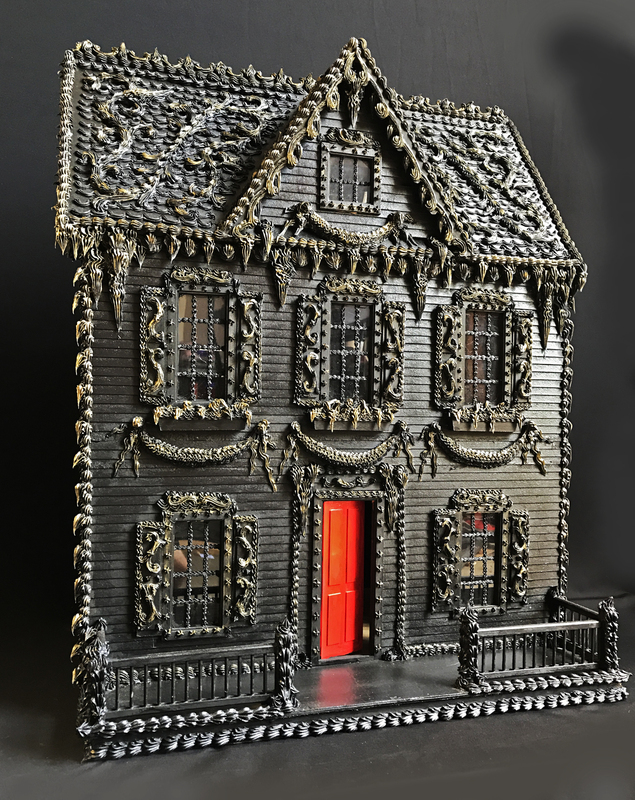 SCOTT HOVE, Last Ticket for the Beauty Train, Dollhouse with mixed acrylic media and internal lightsource). 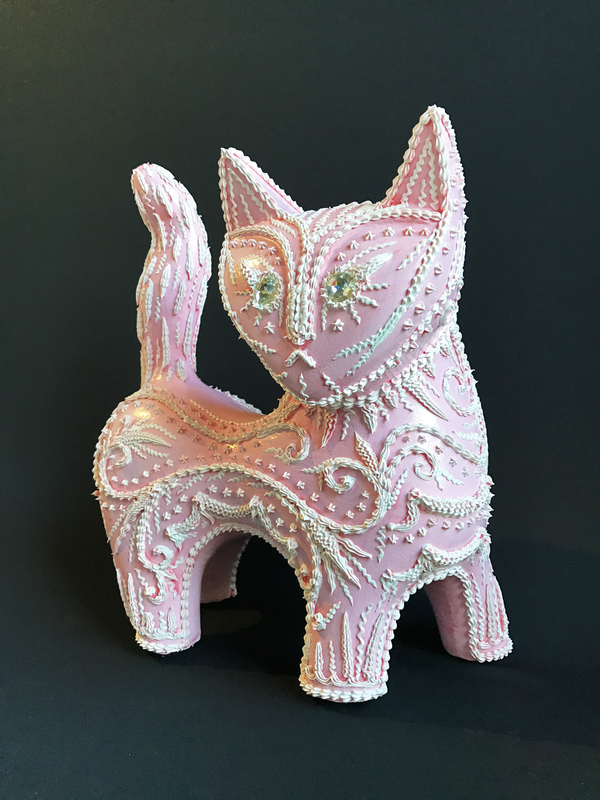 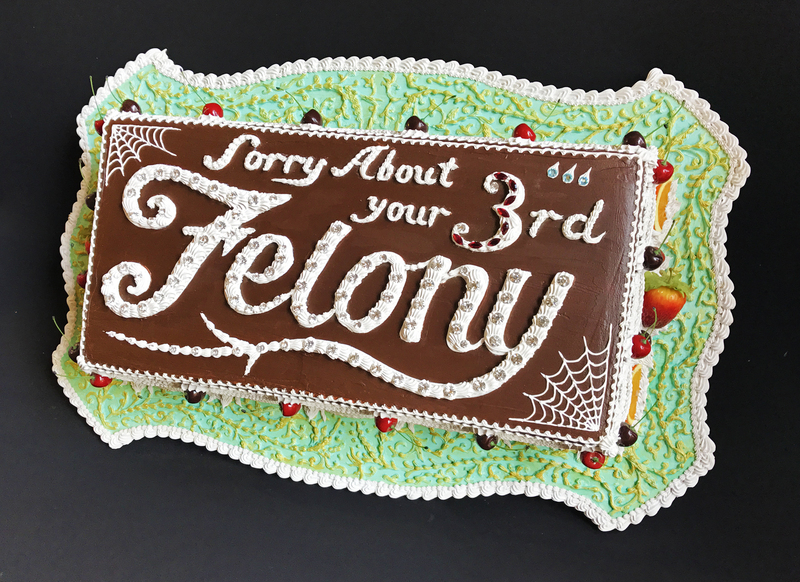 SCOTT HOVE, Last Ticket for the Beauty Train, Felony, mixed acrylic media cake (cast plastic fruit). 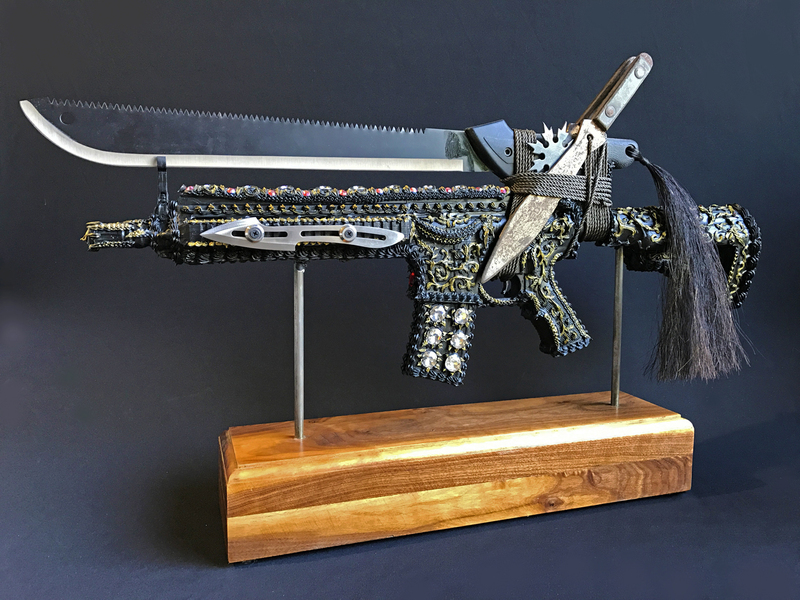 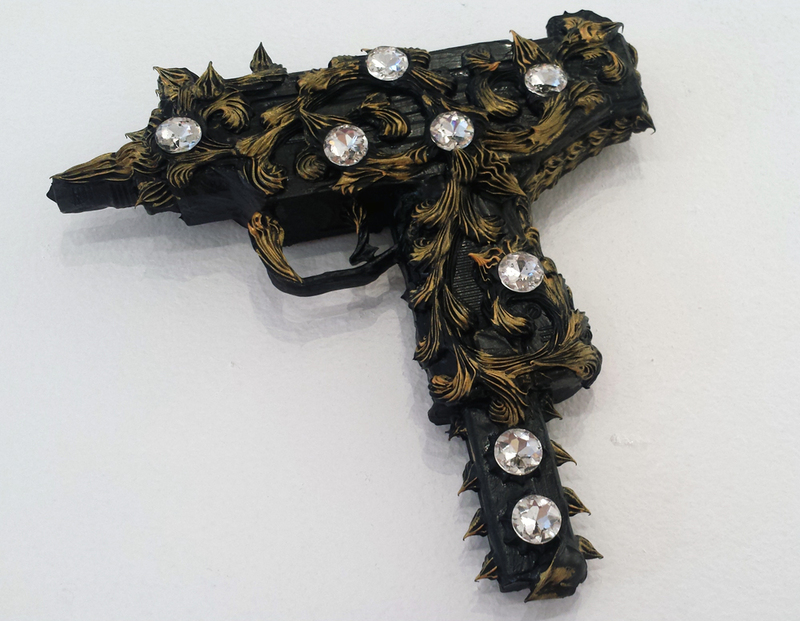 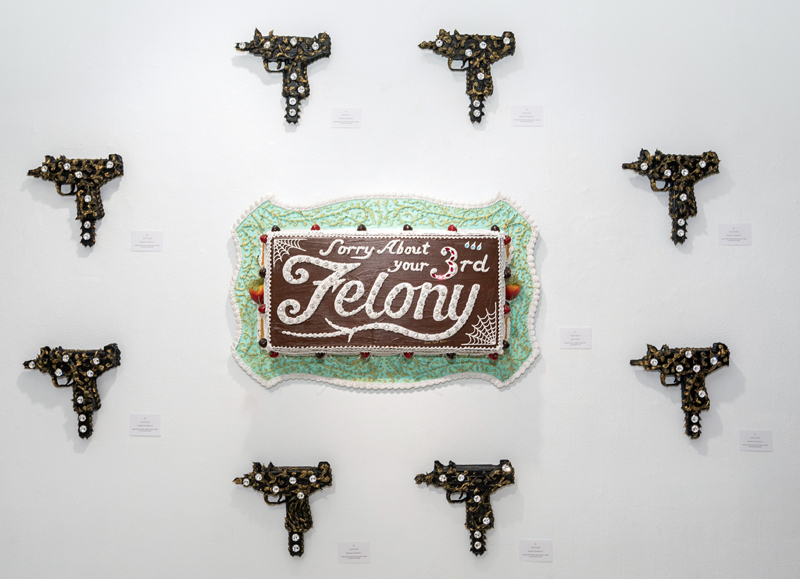 SCOTT HOVE, Last Ticket for the Beauty Train, Felony, Install shot of Felony cake and Uzi. 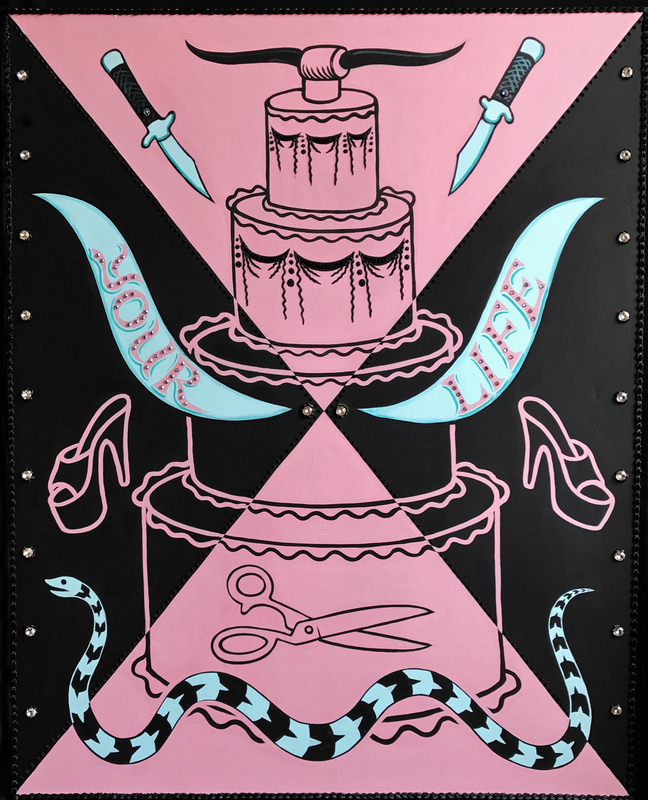 SCOTT HOVE, Last Ticket for the Beauty Train, Your Life, acrylic painting on panel. 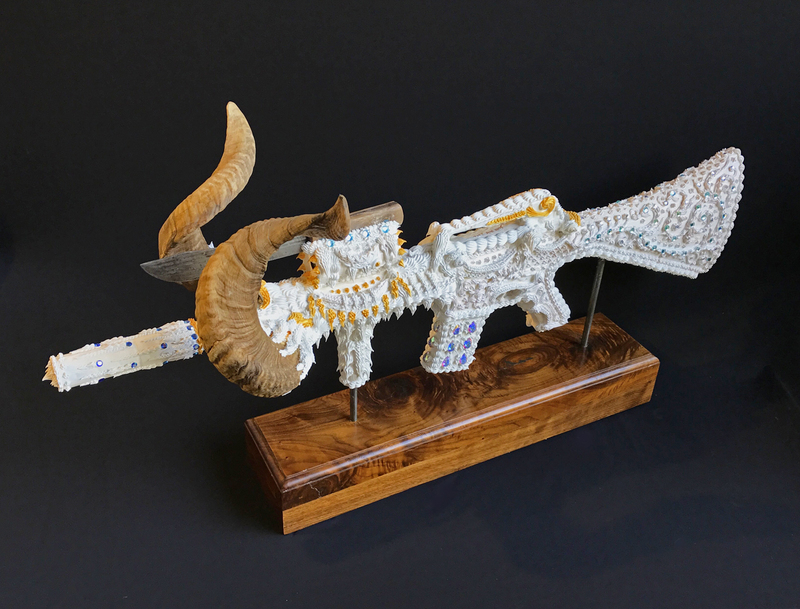 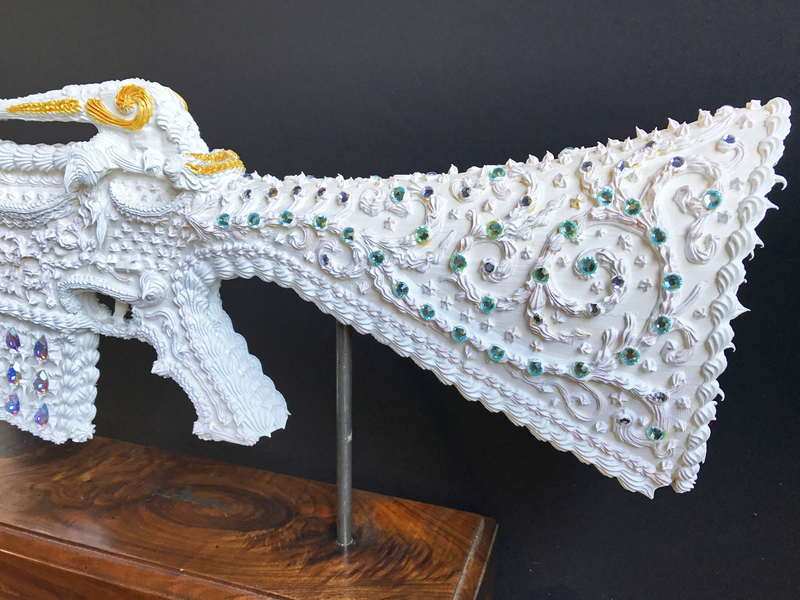 SCOTT HOVE, Last Ticket for the Beauty Train, White Wedding, mixed acrylic media & pearlescent paint (Watsui cattle horns mounted on wood panel). 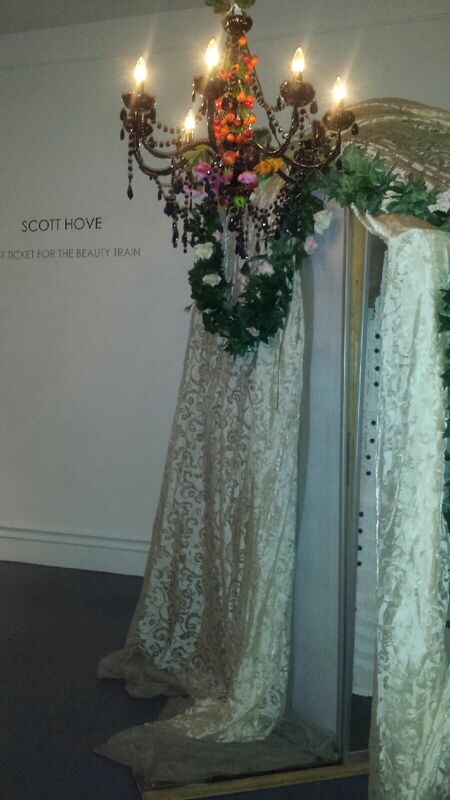 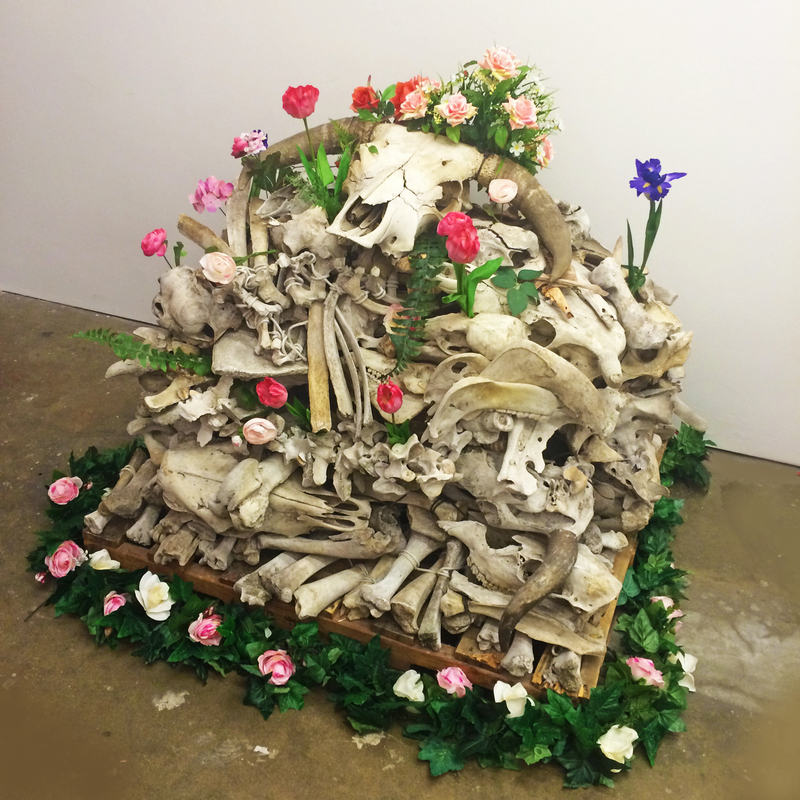 SCOTT HOVE, Last Ticket for the Beauty Train, Final Arrangement,(found bones and flowers).